Another year is about to end, and we’re still plodding along when it comes to changing the makeup of Massachusetts corporate boards. To get serious about having boards reflect the broader business world and their customers, this is what companies need to do: Set term limits. That means instituting policies so that directors don’t serve for life. A chief reason why there are so few women and minorities on public corporate boards is that the incumbents — overwhelmingly white guys — don’t want to give up their seats. And who can blame them? It’s nice work if you can get it, being part of an exclusive club that pays you to be a member. How good? Try six-figure — and sometimes even seven-figure paychecks for part-time work. I bring all of this up after feeling like I was hit in the gut with a one-two punch this week. On Thursday, Globe colleagues Todd Wallack, Sacha Pfeiffer, and Jessica Geller reported that minorities hold only 7 percent of the board seats of the state’s publicly traded companies. The majority of corporate directors in Mass. are white men, even though women and minorities make up most of the population. 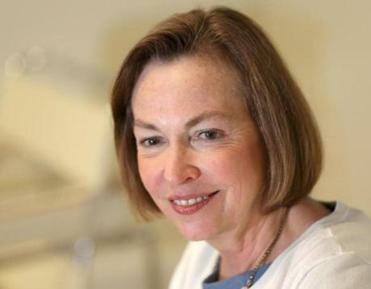 Then on Friday the Boston Club, in its annual census of women on boards conducted by Bentley University, will detail another year of incremental improvement, with female directors accounting for 16.1 percent of seats at the top 100 public companies in Massachusetts. It’s hard to pop open the champagne for a 1 percentage point increase when women make up nearly half of the workforce. At this pace, it would take two decades to reach gender equality on corporate boards in Massachusetts. Take a closer look at why change is glacial. The Boston Club reports that over the last year women filled about one-third of the new board seats of the state’s largest public companies. Not too shabby until you find out the turnover rate —or the number of openings — is only 7 percent. If we could double the rate, Massachusetts firms could reach gender equality on their boards in a little more than a decade. Instead, directors treat a seat on the board like a seat on the US Supreme Court – a job until you die. Nearly one-quarter of the independent directors in Boston Club’s survey are age 70 or older. The club, which advocates for women in leadership roles, also found that about 16 percent of independent directors have served on their boards for at least 15 years. “It makes a bigger hill to climb to get more women on boards because there isn’t the capacity,” said Sue Vinnicombe, who studies board diversity, and holds dual professorships at Simmons College in Boston and Cranfield School of Management in the United Kingdom. Directors function as advisers for companies and help oversee management, hire and fire chief executives, and set long-term strategy. Typically, boards are made up of a mix of insiders — company executives — and outsiders known as independent directors. Studies have shown that companies with diverse boards perform better. One of the touchiest topics in corporate America is how to gently nudge directors who may have overstayed their welcome. But here’s another way to think about it: While every board needs veterans, it’s just as important to cycle in the new blood who have kept up with all the changes in business. That’s what Boston Private Financial Holdings had in mind when it set out to remake its nine-member board about two years ago. Many of its directors at the time had tenures approaching two decades, recalled Debby Kuenstner, who sits on the bank’s board and chairs its governance committee. So here’s what the board decided: Directors should serve no more than 20 years and should retire at the age of 74. Hardly Draconian, but the results were dramatic. Four members cycled off, and one seat was added. When all was said and done, the board got five new directors — of which four happen to be women. That means female directors make up half the board. The newcomers include Intel chief information officer Kim Stevenson, Bentley president Gloria Larson, and Mindflash Technologies chief executive Donna Wells. But having female leadership matters to Boston Private Financial for another reason. More than half of the company’s employees and clients are women. While the concept of term limits in the boardroom is rare in the United States, it is more acceptable in major public companies in the United Kingdom. Firms have adopted corporate governance guidelines that discourage directors from serving more than nine years. That is a big reason why the turnover rate among top public companies in the United Kingdom is about 15 percent, according to professor Vinnicombe. Coupled with other voluntary efforts, the 100 biggest public companies listed on the London Stock Exchange have been able to accelerate change on their boards, with women now accounting for 26.1percent of directorships compared to 12.1 percent in 2011. Change is good for corporate boards and how we get there should involve directors knowing when there time is up.